Out with the old and in with the new! It’s spring cleaning season and while most people think about cleaning their home or community, we feel it’s equally as important to keep your community website clutter-free. You can keep the data on your website tidy and up-to-date with a few of these suggested dos and don'ts. Start by assessing your existing pages and determining the value each of them brings. An efficient way to do this is to examine the information in the “Analytics” section to see the number of views and average time spent on each page. Reviewing these facts will give you a better understanding of how each page fares with your community. Does this page hold significant information that is necessary for the residents in my community? Does this page add value to our community website? Can the contents of this page be added to another page on my website? If you find that the page is not beneficial to your community website, consider removing it from the page list. For content that can be moved to another existing page, combine the content and delete the extra page. Strive to only keep pages deemed to be necessary or those that are resident favorites. Doing so will keep your page list simple and straightforward, which helps residents find the important content. Make the most relevant and recent information on your website stand out to residents. Review the content posted to your pages and keep only the applicable information, along with the newest posts, files, and documents. Delete anything you find that is outdated or no longer valid. By removing older content and leaving only pertinent information, you increase the value of each page and make it easier for residents to seek out the information they need. The “Documents” page type displays when a document was uploaded. By clicking on the “Edit/remove current documents” button, you can open and review the older documents to determine which ones you may need to remove. Shorten text wherever possible to make your points clear and concise. Correct grammar and spelling mistakes. Reformat text for a consistent and uniform appearance. Add bullet points or numbered lists when possible to break up large amounts of text. Taking the time to make sure the content provided on your website is easy-to-read and comprehensible will greatly lower the chances of it being misinterpreted by residents. This way, you can also be sure they’re being provided with the most relevant information. Simplify your page list further by re-organizing your pages using folders. Begin by reviewing the usage of each page, and then group together those that are similar. 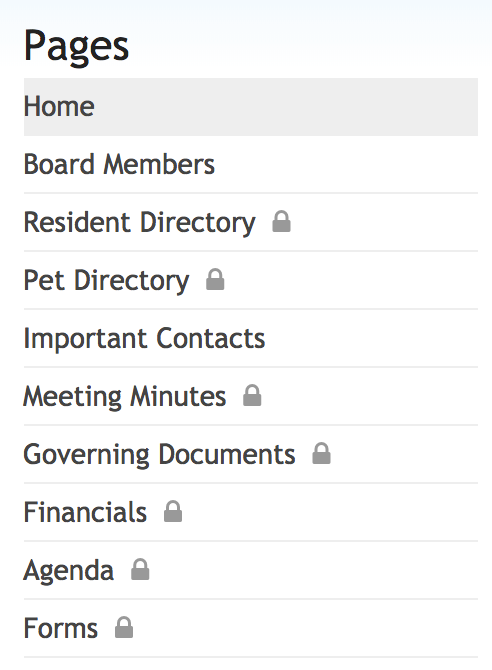 For example, all directory page types can be grouped inside of a folder titled “Directories.” This not only keeps these pages together but makes it easier to navigate through your page list. Take a look at the examples below to see the key differences. The example on the left shows pages listed without folders, and the example on the right displays the same pages inside of folders. Without the folders, it’s more difficult to zero in on a specific page. Adding the folders, however, organizes the pages and makes it easier to locate which page to view. Keeping your website polished may take a bit of clean up, but your efforts will not be in vain! By giving your website some good ol’ spring cleaning, you will ensure it’s a reliable and valuable resource for your community.